Anthem Blue Cross Blue Shield’s controversial policy that denies emergency coverage based on a patient’s diagnosis after a visit to the ER, would affect as many as one in six (15.7%) ER visits if adopted universally by commercial insurers, according to a new study from JAMA Network. Anthem’s policy is currently active in six states. In July, the American College of Emergency Physicians and the Medical Association of Georgia filed a federal lawsuit asserting that Anthem BCBS of Georgia is violating federal law requiring insurers to cover the costs of emergency care based on a patient’s symptoms rather than their final diagnosis. As healthcare costs rise, insurers continue to seek ways to stem payments for emergency care, which hit their pockets the hardest. Anthem’s approach, taken in the summer of 2017, is to disincentivize what it deems to be unnecessary ER visits by denying coverage for patients with non-emergent ER discharge diagnoses. Earlier this year, UnitedHealth Group began reviewing ER claims with the most serious conditions in an effort to reduce or deny claims with improper evaluation and management codes. While similar in that they both crack down on ER visits, Anthem’s policy looks to move patients away from ERs and into less expensive urgent care centers and retail clinics, while UnitedHealth’s policy change is about making sure hospitals are billing properly. The backlash has been much harsher for Anthem. According to a report issued this past July by Sen. Claire McCaskill, D-Mo., Anthem denied roughly 12,200, or 5.8%, of all emergency room claims in Missouri, Kentucky and Georgia from July 2017 to Dec. 2017 through this policy. Missouri’s hospital association was one of many health organizations to publicly oppose the policy. The conspiracy involving secret meetings resulted in higher prices for insurers, the government and consumers, the lawsuit claims. Humana has brought a lawsuit against 37 pharmaceutical companies including Novartis, Mylan and Teva, alleging price fixing for numerous generic drugs. The conspiracy increased the profits of the drug makers and others working with them at the expense of consumers, the government and private payers such as Humana, the lawsuit said. 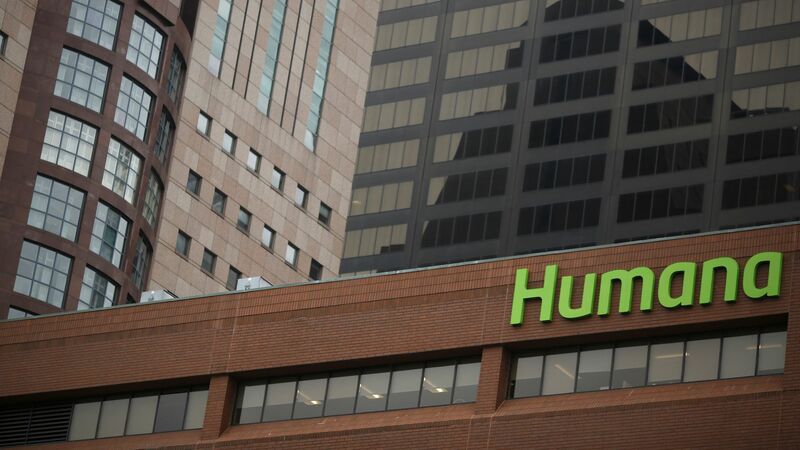 Humana wants to recover damages it said it incurred from overcharges for certain widely-used generics, according to the lawsuit filed Friday in federal court for the Eastern Division of Pennsylvania. Humana said the conspiracy is far-reaching among the drug makers to manipulate markets and obstruct generic competition. They agreed to fix, increase, stabilize and/or maintain the price of the drugs specified, along with other drugs, the court document said. Humana accuses the pharmaceutical companies of secret meetings and communications at public and private events such as trade association meetings held by the Generic Pharmaceutical Association and others. Humana’s allegations are based on personal knowledge and information made public during ongoing government investigations, the insurer said. The pricing fixing is also under investigation by federal and state authorities, the lawsuit said. The Attorneys General of 47 states, Washington, D.C. and Puerto Rico have filed a civil enforcement action against most of the named defendants, alleging agreements to fix 15 drug prices, the lawsuit said. The Department of Justice has convened a grand jury to investigate a number of the defendants for price increases ranging from 100 percent to 400, 2,600 and 8,000 percent, Humana said. The price increases are consistent with Medicare Part D price increases found by the Government Accountability Office for many of the subject drugs. Among the drugs for which GAO identified “extraordinary price increases” — defined as a price increase of 100 percent or more — between the first quarter of 2011 and the first quarter of 2015, are, according to Humana, Amitriptyline, an antidepressant; Baclofen, a muscle relaxant and anti-spastic agent; Benazepril, an ACE inhibitor to treat hypertension; Clobetasol, a steroid and anti-inflammatory agent; Clomipramine, an antidepressant for obsessive compulsive disorder; Digoxin, used to treat heart failure and atrial fibrillation; Divalproex for seizure disorders; Doxycycline (in Hyclate form) an antibiotic; Leflunomide for rheumatoid arthritis; Levothyroxine, a thyroid drug to treat hypothyroidism; Lidocaine, an anesthetic; Nystatin, an antifungal for skin infections; Pravastatin to lower cholesterol; Propranolol, a beta blocker to treat hypertension; Ursodiol, to decrease the amount of cholesterol produced by the liver; and Verapamil, to treat hypertension, angina and certain heart rhythm disorders. Federal prosecutors in California and Florida have sued to stop two companies from providing stem cell treatments, alleging the clinics marketed their procedures as remedies for ailments including cancer and heart disease without proof of safety and efficacy. The Justice Department says in court filings Wednesday that the firms put consumers at risk by promising benefits from treatments never approved by the Food and Drug Administration. The complaints involve treatments derived from cells taken from patients’ own fat tissue. The lawsuits target Southern California’s Stem Cell Treatment Center and U.S. Stem Cell Clinic of Sunrise, Florida. Mark Berman, director of the California clinics, says he stands by his treatments and looks forward to fighting the lawsuit. U.S. 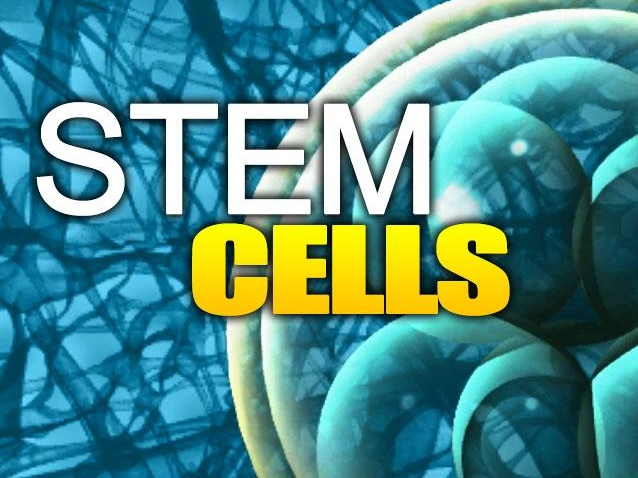 Stem Cell said in a statement it would vigorously defend itself in court. Will Federal Courts Uphold Trump Administration Medicaid Waiver Approvals? Court decisions are likely to have an enormous impact on the future of the Medicaid program. On January 12, the Centers for Medicare and Medicaid Services (CMS) announced approval of a Medicaid demonstration waiver in Kentucky incorporating unprecedented restrictions on Medicaid eligibility for adults. These restrictions have been summarized by Sara Rosenbaum on Health Affairs Blog in the context of a powerful review of Medicaid demonstration law and policy. Kentucky’s new waiver includes not only a highly publicized “work/community engagement” requirement, but additional elements new to Medicaid including lockouts for beneficiaries who do not complete the annual renewal process or who fail to report changes in income. Twelve days after the CMS approval announcement, the Kentucky Equal Justice Center, the Southern Poverty Law Center, and the National Health Law Program filed suit to stop the waiver in U.S. District Court for the District of Columbia, representing 15 Medicaid beneficiaries in Kentucky. Similar lawsuits are virtually certain as Medicaid waivers imposing new coverage and benefits restrictions on adults are approved in Indiana and likely other states. As noted by Sara Rosenbaum, Nicholas Bagley, and others, there is a limited history of federal lawsuits challenging Medicaid section 1115 demonstrations. But it is important to note the reason there have been few of these legal challenges: until 2018, over its 50-plus year history, Medicaid waiver authority was almost exclusively used to expand Medicaid eligibility and benefits rather than to restrict them, or to try a different approach to delivering existing benefits. When I oversaw Medicaid 1115 waiver review from 2013 to early 2017, the Obama administration agreed to try a variety of conservative ideas under Medicaid waiver authority for the Affordable Care Act (ACA) adult expansion population. But each of these ideas was tied into a good faith hypothesis about potential improved access or benefits within the Medicaid program. Premiums were to be tested as an alternative to cost-sharing in some states or in combined premium/cost-sharing approaches that sought to encourage and incentivize healthy behaviors; private marketplace plan networks were to be tested and evaluated as an alternative to traditional Medicaid providers; the impact of the Non-Emergency Medical Transportation benefit on unmet need would be measured closely to see if eliminating the benefit helped or hurt self-reported access to care. The approvals in Kentucky and Indiana, and possible pending approvals in other states, base their legal claim to be promoting the objectives of the Medicaid program on a far more brazen and cynical premise. The waiver approvals assert that taking away Medicaid from statutorily eligible individuals can act as an incentive that ultimately improves health: either by forcing the beneficiary to get a job to stay insured in the case of work requirements, or by “educating beneficiaries on enrollment requirements” in the case of lockouts from eligibility for beneficiaries who fail to complete an annual renewal or inform the state of income changes. Because the hypothesized Medicaid objectives are so dubious, a lot more than these specific waiver requests rests on the plaintiffs’ case in these states. At risk are not only specific Medicaid eligibility principles, but the entire statutory enterprise of congressional legislation of mandatory Medicaid eligibility or benefits of any kind. Consider what it would mean for Medicaid law were the justifications upheld: if waivers can overturn congressional Medicaid eligibility guarantees and claim to promote Medicaid objectives because Medicaid itself is a barrier to health, or because cutting off eligibility is a way to teach people about private insurance or enforce compliance with new extra-statutory eligibility requirements, then there is no meaningful legal limit on state waivers of federal Medicaid eligibility law. Congress’s ability—in place since 1965 and upheld in hundreds of federal court decisions—to mandate that state Medicaid agencies cover specific categories of individuals for specific periods of time and with specific benefits will be subject to an extra-statutory waiver process in toto. Will courts allow it anyway? After all, section 1115(a) defining the scope of the demonstration authority specifically references “the judgment of the Secretary”, suggesting executive branch latitude. Will Courts Overturn Work Requirements? But there are a number of important legal and contextual factors that point to court action to overturn these waiver approvals. First, the work requirement component of these waivers is a particularly blatant attempt to achieve under waiver authority what could not be achieved via statutory change. Both the House and primary Senate version of “repeal and replace” 2017 included state options to impose work requirements in Medicaid. These efforts—in a rather high-profile manner—failed to pass Congress. Courts will be considering the tactic of the executive branch trying to change the Medicaid program via demonstration waivers when it failed to change the law. Second, the primary federal court precedent for judicial review of Medicaid section 1115 demonstrations sets a high bar for legal scrutiny. Although (as summarized by Nicholas Bagley) the courts historically authorized some restrictive state section 1115 waivers with regard to Aid to Families with Dependent Children (AFDC) cash welfare in the name of supporting transitions to independence, these decisions were tied to a statutory framework for the AFDC program that itself supported transitions to work as an explicit goal beginning in the 1960s. This is not true when it comes to Medicaid: Medicaid’s statutory framework is as an ongoing health insurance program, and it now covers 70 million people, many times the enrollment level in AFDC/Temporary Assistance for Needy Families (TANF) over its history. And the limited court challenges to Medicaid section 1115 waivers have had a high success rate, with courts insisting that not only meet the “promote Medicaid objectives” standard but that they meet an additional level of scrutiny regarding research or experimental value relative to the health policy literature. Strikingly, the court in Newton-Nations v. Betlach—the primary precedent for Medicaid waiver judicial review—approvingly cited expert testimony on the health policy literature as evidence for why further research on cost-sharing was not needed. If judges are citing literature reviews to question whether waiver hypotheses involve groundbreaking experiments, that does not indicate a high degree of judicial deference. Third, we have had strong indications in the last year that federal courts are not working with an assumption of good faith in stated agency rationales, particularly when significant published information from Trump administration leaders contradicts those ostensible public rationales. Judicial skepticism has extended from presidential tweets cited as evidence of discriminatory intent in immigration cases, to asserting “invidious partisan intent” in drawing of voting districts. And the Trump administration has made abundantly clear that its reasons for supporting restrictions on adult Medicaid enrollment have nothing to do with health: CMS Administrator Seema Verma has repeatedly stated her broad opposition to Medicaid coverage of low-income non-disabled adults as such, and the Trump administration worked vigorously to undo the Medicaid expansion during the ACA repeal effort in Congress. Fourth, the fact that states are pairing work requirement waivers with other extra-statutory restrictions on Medicaid eligibility undermines whatever health claims they are making regarding the work requirement. With the exception of Mississippi—a state with Medicaid income eligibility levels for adults that are so low virtually no employed adults qualify—every state that has proposed a work requirement has also proposed to waive Medicaid law in other ways to take away coverage. Kentucky’s and Indiana’s new “lockout” provisions that will bar people from Medicaid for six months if they fail to report a change in income or if they fail to submit an annual redetermination of eligibility will likely lead to dramatic reductions in Medicaid coverage, given the high rates of enrollment churn associated with Medicaid’s unique annual redetermination requirements. States that are trying to cut Medicaid coverage for adults in multiple ways and a federal Administration that opposes Medicaid coverage of non-disabled adults would appear to be attacking Medicaid coverage of adults any way they can. They will not make for persuasive exponents of the health benefits of work requirements. The pending litigation will be the first time the courts have thoroughly defined the scope of executive branch section 1115 waiver authority in Medicaid. As a matter of law and policy, one way or another this important part of the Medicaid program and the American health system will likely be changed by the time the federal courts have completed their adjudication. Many thousands of lives will be at stake. But with multiple judicial imperatives at stake as well, there is good reason to expect that the courts will step in.